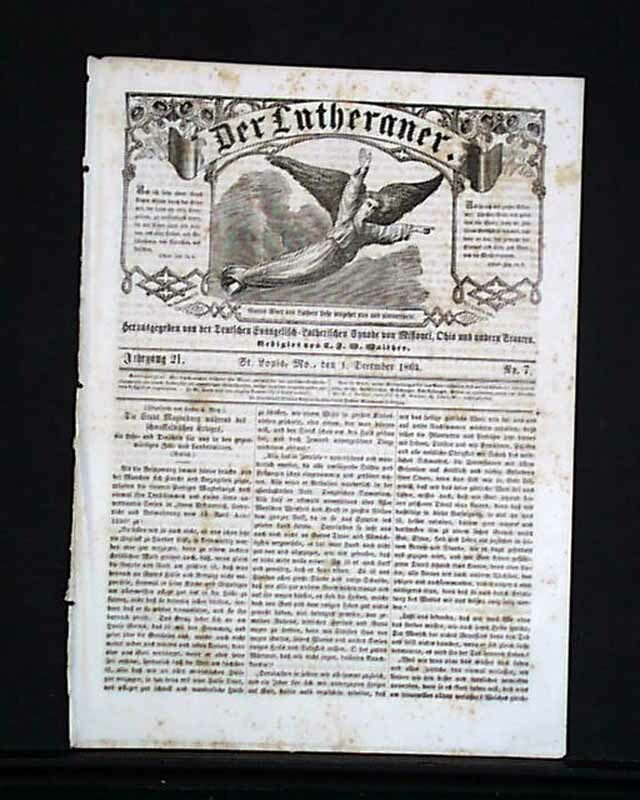 DER LUTHERANER, St. Louis, Missouri, December 1, 1864 In the mid-nineteenth century a flood of immigrants from Europe poured into the United States, the Germans being the largest ethnic group at the time. 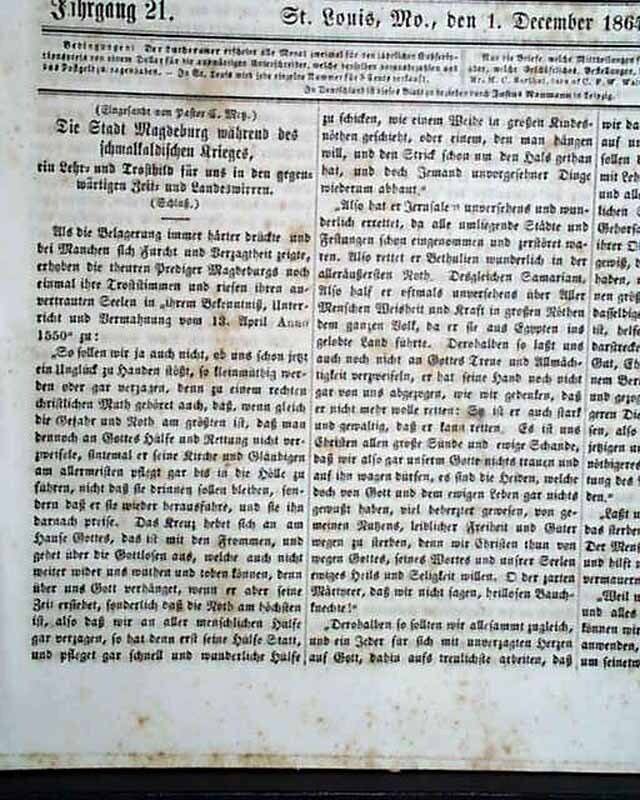 Like many immigrants, the Germans wanted to preserve their native language and newspapers. 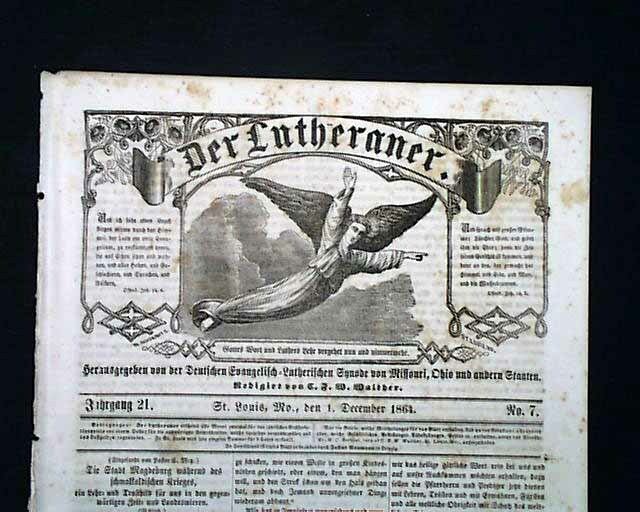 In 1844 a Lutheran named Carl Ferdinand Wilhelm Walther began publishing "Der Lutheraner", a periodical written entirely in German. 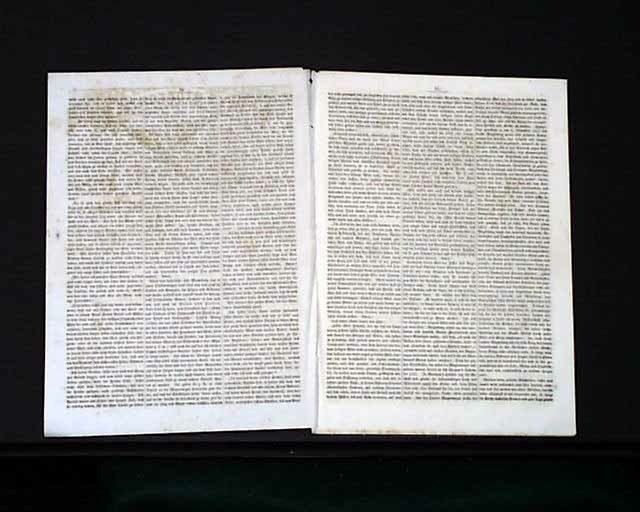 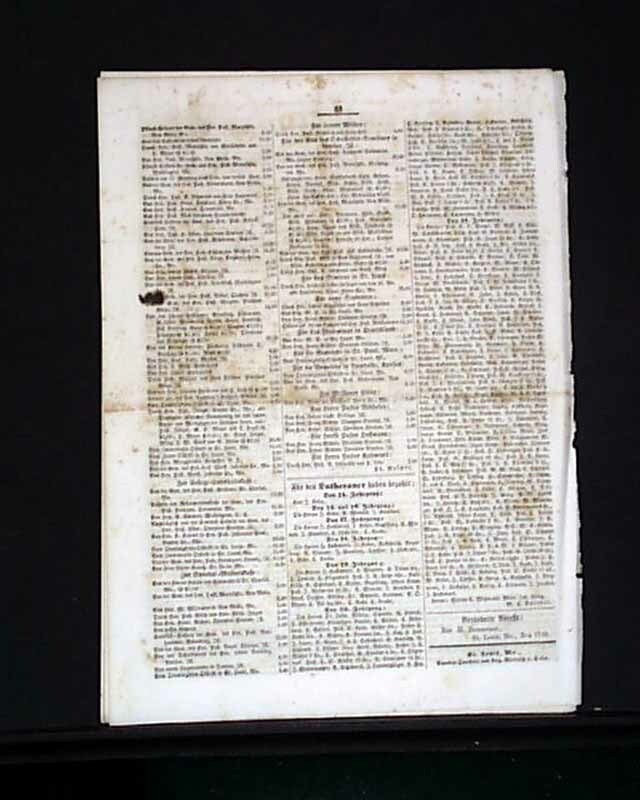 Four pages, very decorative masthead featuring an engraving of an angel, 10 by 13 1/2 inches, scattered foxing, good condition.